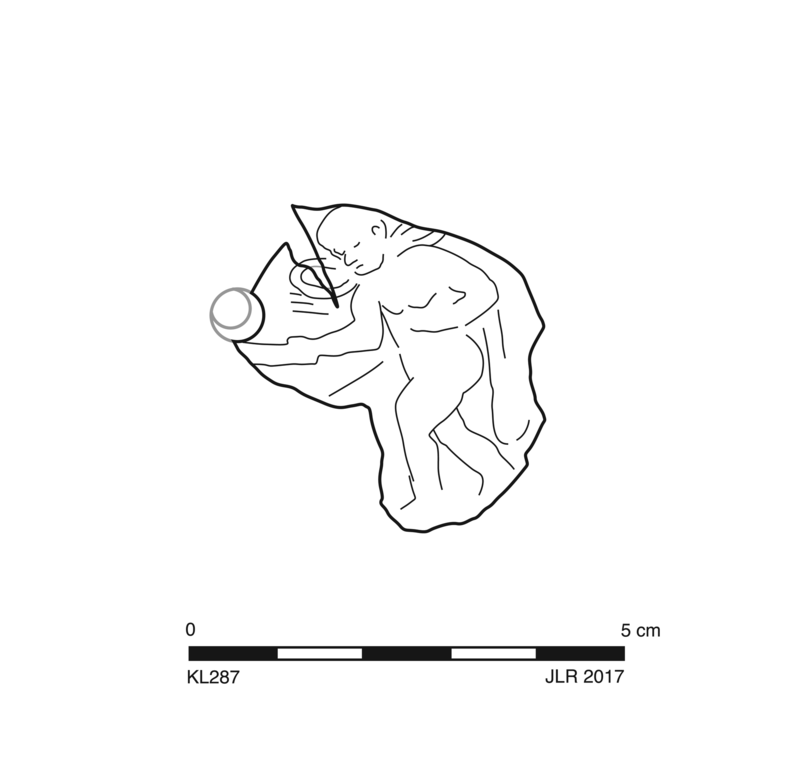 Concave discus has relief of Eros striding left with wings spread, right arm outstretched with patera(?) and left arm flexed at side, surrounded by loose drapery or other background. Fabric: 5YR 7/4, pink. Slip: 5YR 4/4, reddish brown. Hard, somewhat fine fabric has very rare, very small, subangular white (calcitic) and black inclusions and common flecks of gold mica. Thick, semilustrous, even slip has metallic sheen. Knidian. 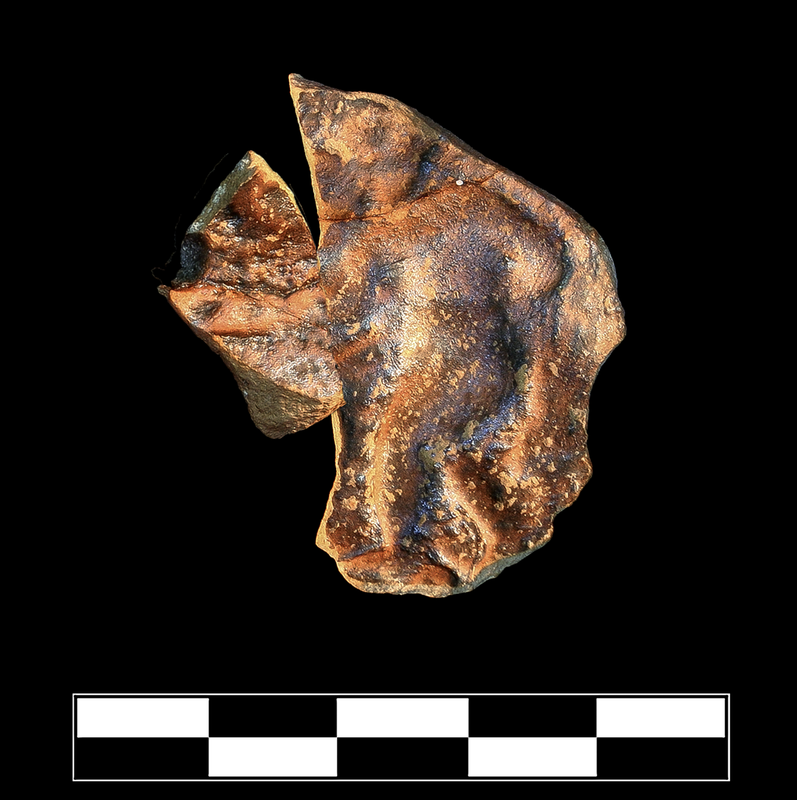 Three joining fragments preserve large part of central discus. Slight chipping around edges; slight, thin encurstation across exterior surface.